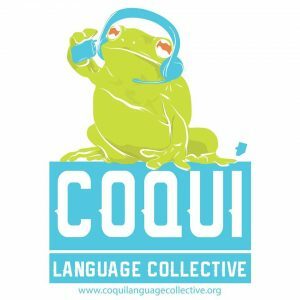 Coquí Language Collective (“CLC”) is a fiscally sponsored interpreting agency based in Miami, Florida that provides interpretation and translation services in various languages across the state of Florida. CLC specializes in simultaneous and consecutive interpretation in Spanish and Haitian Creole for educational and platform/conference interpreting. CLC also provides interpretation coordination for meetings and events as well as consulting services for organizations that wish to expand their multilingual capacity. The CLC believes in building and expanding multi-language strategies in order to create access and inclusion in communities of color, affording them spaces to lead and participate in collective efforts to fight for equality and democratic participation in today’s fast-paced, sometimes monolingual world. To this end, our interpreters are independent contractors who are socially conscious individuals that want to develop a multilingual infrastructure that allows everyone access to a level playing field, enabling them to contribute without language being a barrier.